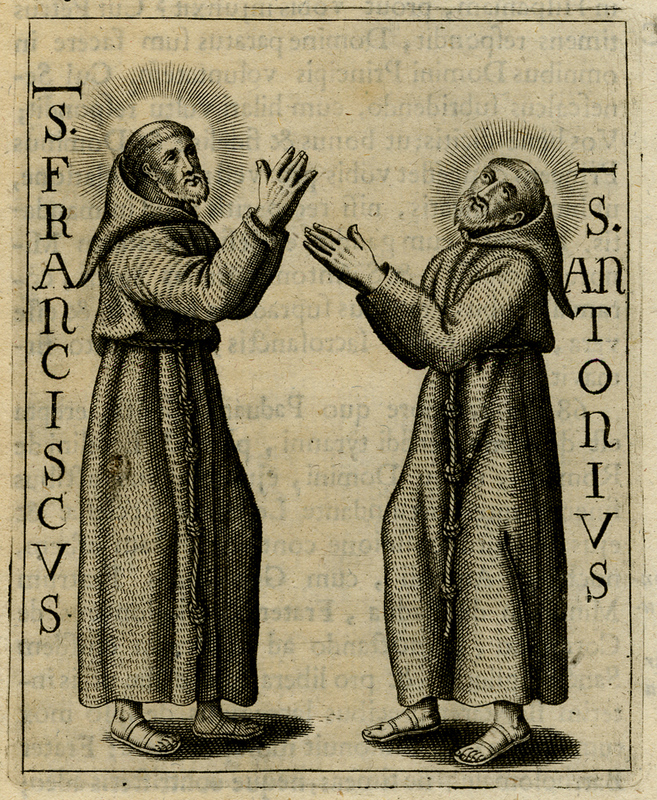 Subject: Plate : This plate shows St. Fransiscus and St. Anthony. Condition: Excellent given age. General age related toning and occasional light staining. Please study scan. Irregular paper edges and remains from binding. 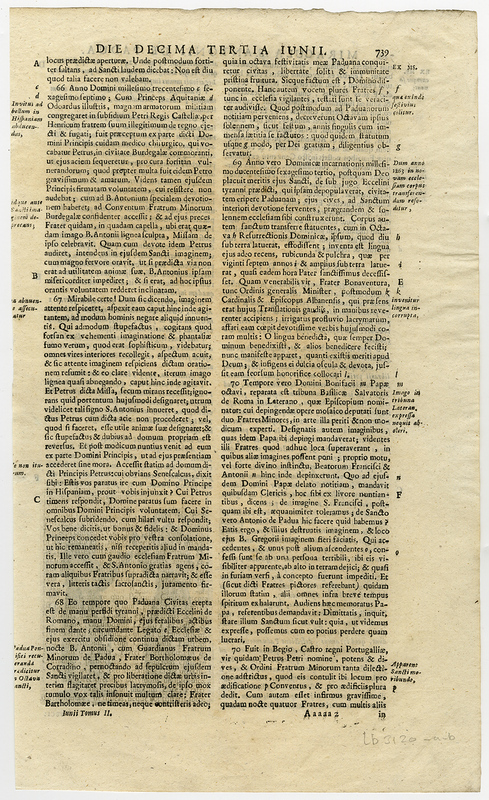 Medium: Engraving on a verge type hand laid paper with watermark. Size (in cm): The overall size is ca. 21 x 35 cm. The image size is ca. 7.5 x 9.5 cm. Size (in inch): The overall size is ca. 8.3 x 13.8 inch. The image size is ca. 3 x 3.7 inch. Artists and Engravers: Jean Bolland (Latin: Johannes Bollandus) (1596-1665) was a Jesuit priest and prominent Southern Netherlandish hagiographer.. Plates are engraved by Filibertus / Philip Bouttats after Jan Sebastiaan van Loijbos. Filibertus Bouttats (c. 1654-after 1731 Flemish), was the son of Frederik Bouttats and a student of the reknown Romeyn de Hooghe.